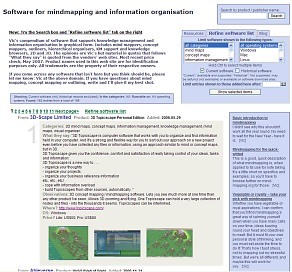 The mind-mapping.org Blog – Page 21 – This blog is about software for visual thinking and organising information. It will give you the low-down on developments in the world of visual networks and all types of business maps. After fussing over the new blog, I had time to catch up with some of the new entries I’ve been accumulating recently (more to come). The current trend is still mainly for on-line, browser based services. Cumulate Draw -=- Free on-line diagrammer. Could be used for mindmaps but not designed for that. A poor-man’s MS Visio, perhaps? SproutLiner -=- Free on-line outliner. No security for your outlines (no log in) if you use an easily-guessable name. I have not tested simultaneous multi-user access but it does not appear to be designed for real-time collaboration. 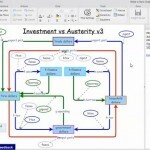 Flowchart.com -=- Free on-line diagramming tool. WikiMindMap -=- You can’t build your own mind maps with this tool (unless you do it by building a MediaWiki), but you can choose from the millions of topics covered in many Wikis. I think this is an intriguing tool, but one of the great values of mind mapping is the process – the thinking you do as you build the mind map. I believe WikiMindMap should be seen as a quick way to grasp the structure of wiki articles rather than as a mind mapping tool. ThinkFold -=- On-line collaborative outlining service. MAK (MindMap and Knowledgemanager) -=- Knowledge Content Management System – seems dormant. InfiView -=- Not a mind mapper or other form of tool for graphical information management, but a development environment for such products. Projekt S60 -=- Outliner for Symbian-based mobile phones. InfoRapid Cardfile System -=- A kind of outliner. What’s all this about “fully instrumented”? 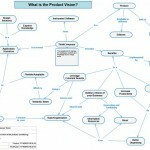 Past versions of mind-mapping.org were limited and made users search for what they wanted from the “all products” list. Some users asked if I could add a search function so that they could check if a specific product was there. Others want to to look at, for example, all mind mapping software that ran on a Mac, or all concept mapping and mind mapping products that could be used from a browser, from the Web, with no software to install. Many wanted to know the cost of software and one person wanted to be able to check all items added after a specific date so that when they call back from time to time, they can see what’s new. So I’ve added the selection and filtering in a tab at the top-right of each software list page, and each entry shows what I know about price (it’s not always clear on the publishers’ web sites), and when I added the item to my local database – which is always within a week if the information appearing on line. I decided to cut out the historical records by default, but you can tick a checkbox to see them as well. So that’s what I was vain enough to call “fully instrumented”. I’ve no doubt someone will soon point out an essential missing item and I shall slap my forehead and have to add more. I did have a request to add reviews for all products. Hmmm . . . I reckon a very minimal review would take a couple of full-time days, and with, right now, 162 current products, I could say goodbye to a year of my life. Jus’ ain’t practical, I’m sorry. But I’m thinking about how to get user reviews on-line without inviting the spammers in. The mind-mapping.org site has been around for almost eighteen months now, and after many requests to provide an RSS feed for new stuff at the site (I don’t know how to do that), I’ve added a blog. I’ll announce new additions here in this blog, and if you’re interested, you can subscribe to its feed and get to know about the updates that way. Not only new items – I’ll also include notes about new versions of mind mapping and information management software as it’s released (and as I find out about it). This site started as a personal collection of information on this type of software. I’ve been mind mapping in one form or another for longer than I care to admit and was always on the lookout for software that helped. I started with Mind Manager and still use it, though I find the upgrade prices a bit steep. Now I play with FreeMind sometimes. That’s a mixture of rather basic in some ways, and very sophisticated in others – the attribute capability is useful to me. 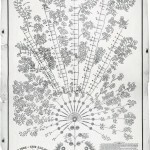 Once mind mapping was available on computers, I started using it for information management as well. That wasn’t so successful because of space on the screen, but then Topicscape came along and solved that problem, and wikis with mind mapping capabilities too, so I started adding information management software to the database. 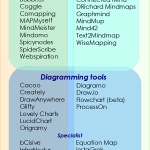 I’ve never taken a rigid view of mind mapping, whatever Tony Buzan says, so I gathered concept mapping products and other diagramming tools. Outliners came into the information I collected because the idea isn’t so different from mind mapping, it’s just less flexible. But when you have a mind map and want to turn it into a report, you’re likely to get there via an outline anyway – or at least an indented text format. I do apply the criterion of requiring a visual element to the presentation of the information shown in the software collected here. As I collected information from all over, across the years, I stuck it in an Access database. Once I had enough it started to become a useful source, so I decided to share it so now it gets banged into MySQL on-line and the end result was the mind-mapping.org site. The original site. 137 items, all on one page! I’ve been collecting the information for more than ten years, so there’s plenty about products and free services that came and went. I decided to keep those as history, but flagged them so they can be filtered out for most readers. 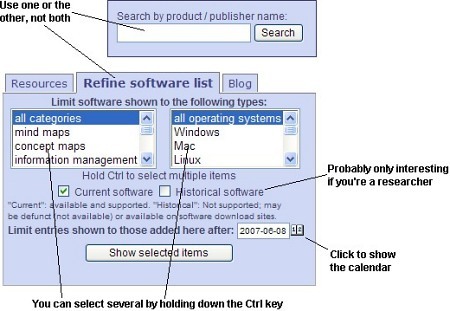 If you’re looking for information about what once existed, you can see the historical items by ticking the “Historical software” box in the “Refine software” tab. Many people have written to suggest new items – my thanks to them. Some have told me what they don’t like, and I thank them as well – their comments have made me improve the searchability, filtering and information shown. 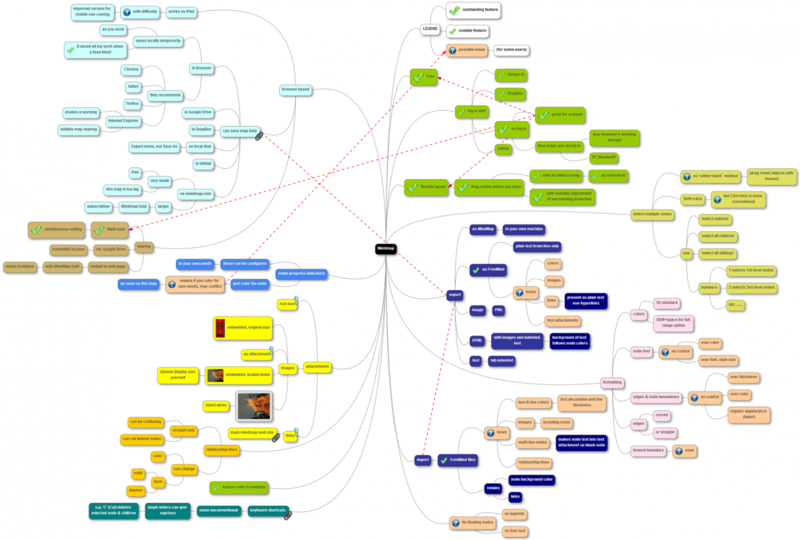 Mind-mapping.org today – fully instrumented . . .
Keep on mapping, and keep the feedback coming!